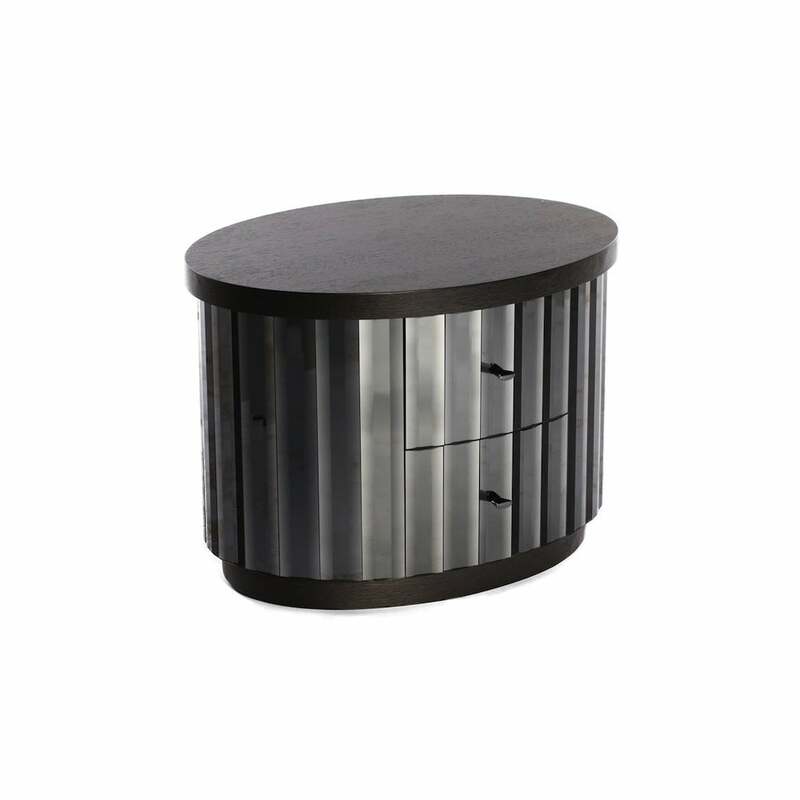 Art Deco inspired addition to the bedside table range, this bedside table comes in a smoked linear mirror, with a grey oak veneer overhanging top and inset base. It features two drawers with chrome handles. As with all Simpsons' pieces, this coffee table has been handmade in England.